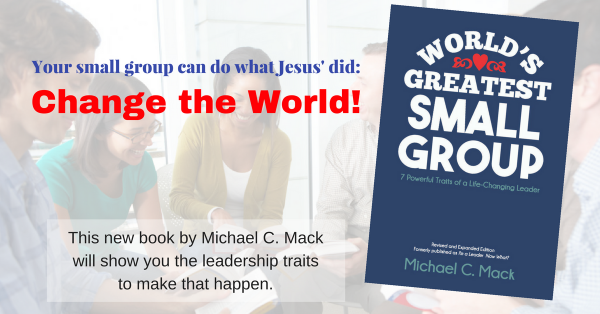 Leading a small group (or anything else in the church) comes out of an assignment or appointment from God. This is critical and foundational to Christian leadership. When someone recruits you to a job that you are not called to, it’s easy to throw in the towel when the going gets tough. Are you a small group leader because someone recruited you, because there’s a shortage of leaders, or because you have been called by God? Let me be clear: You may have been recruited, even out of a sense of need, by someone in your church: a pastor, ministry point leader, coach, or the leader of your group, for instance. That does not mean you have not also been called. God often—actually, usually—uses other people as his ambassadors to call us into his service. You may have been primarily called as a small group host or facilitator, but now I’m talking to you about being a leader, and maybe you’re thinking, Not so fast! I’m not a leader, just a host or facilitator. Please let me encourage you. First, don’t underestimate yourself. The best leaders are often, at first, anyway, reluctant leaders. Humility is a vital trait of a godly leader. Second, and I’ve said this before, it’s not about you anyway! The best leaders are people who are simply willing to let God use them. God takes ordinary people and does extraordinary things through them. It comes down to this: You assume the role of a leader “not because you must, but because you are willing, as God wants you to be” (1 Peter 5:2). What’s important is your willingness to let God use you as he wants for his kingdom work.